We first ran this story a couple seasons back. Since they we’ve received many questions about this gun, so we thought we’d give readers another chance to learn about this truly innovative, switch-barrel “convertible” rifle. 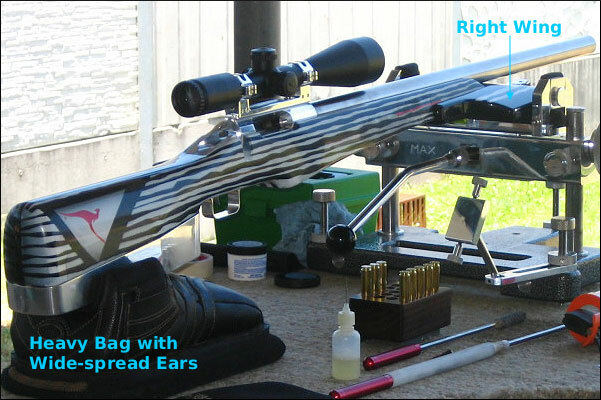 This gun works for both short-range and long-range benchrest matches. Share the post "Hammerhead Dual-Caliber, Multi-Discipline Bench Gun"
Here at AccurateShooter.com we tend to focus on highly-accurate (1/2-MOA or better), custom-built bolt-action rifles. But for home defense, deer hunting, or just having fun with the grand-kids, factory-built firearms serve their purpose. With that in mind, we wondered, “Just what are the most popular mass-production firearms these days?” Gunbroker.com, the biggest firearms auction site, has tallied the top-selling new and “previously-owned” firearms in various categories for all of last year. 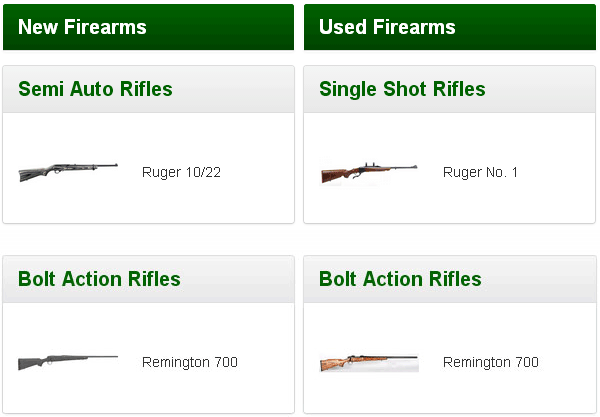 Here are Gunbroker’s “Best Selling Firearms” for 2014. Share the post "Fan Favorites: The Top-Selling Firearms of 2014"
Reactive targets are fun — a nice change of pace compared to punching paper. We know many guys like busting clay birds with rifles at 300 yards and beyond. This is good training for a varmint safari, as a clay pigeon is roughly the same size as a well-fed prairie dog. However, clays make better rifle targets if you can get them up off the ground. When placed on a berm they don’t shatter as dramatically. Birchwood Casey has a new product that makes “clay-busting” more fun. 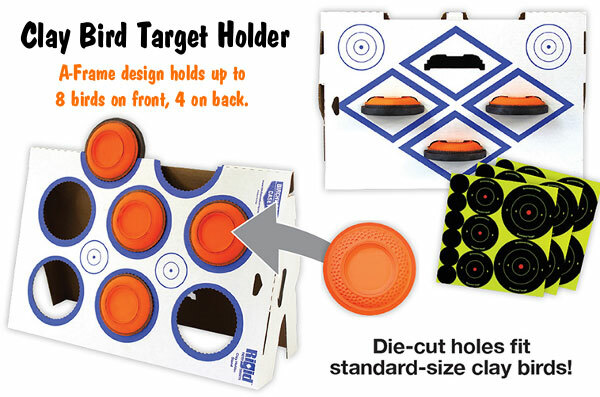 Share the post "Get Reactive — Target Holders for Clay Birds"